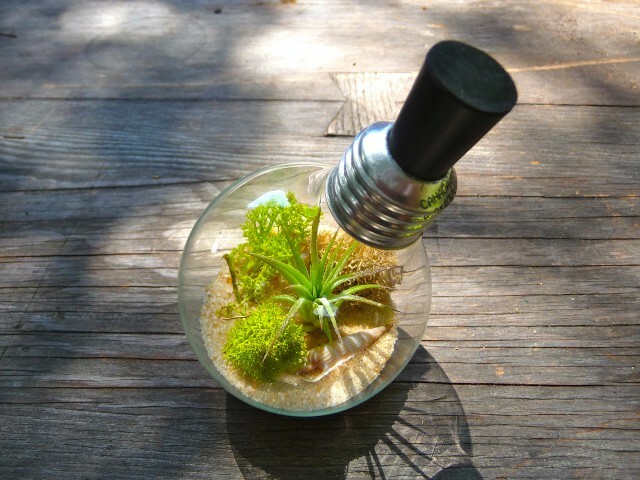 You are here: Home / Air plants / Light Bulb Terrarium Extinction? We have all seen these light bulb terrariums but your window of opportunity may be going the way of the dinosaurs …or will it? 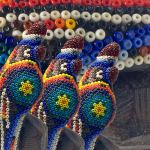 As of January 1, 2012 a new law will take effect banning incandescent light bulbs and most likely all of the cool crafts that go with them, like the terrarium and vase idea. We will be left trying to squeeze air plants into those crazy cork screw like CFL bulbs or God forbid, an LED light! There is a brand that I heard of called, Bulbrite, that is producing a halogen bulb called, Halogen A19, that has the makings of the old-school style bulb we’re all use to yet compliant with the new law. Perhaps one day after we have purchased one and it has lived out it’s alleged 1,000 hours of use, we will try this new bulb and see if we can use it. Until that day comes and as long as we have your attention, we may as well show you the light bulb terrarium. Use a dead bulb or it sort of defeats the purpose of recycling or repurposing. There are many ways to skin a cat, and we’re referring to the process of removing the dead innards of the light bulb. We use tweezers to pry off the contact as shown below, then crack the dark colored glass – we usually use a screwdriver and/or a pair of needle-nose pliers. Safety glasses are probably a good idea! Make sure the light bulb is clean and be sure to rinse out any remaining guts from the inside and let it dry. 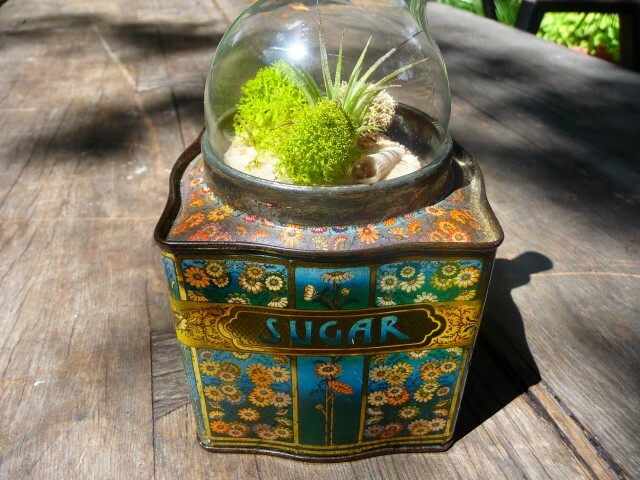 Sand or tiny, tiny pebbles are best to use for this terrarium project – sand being our favorite. 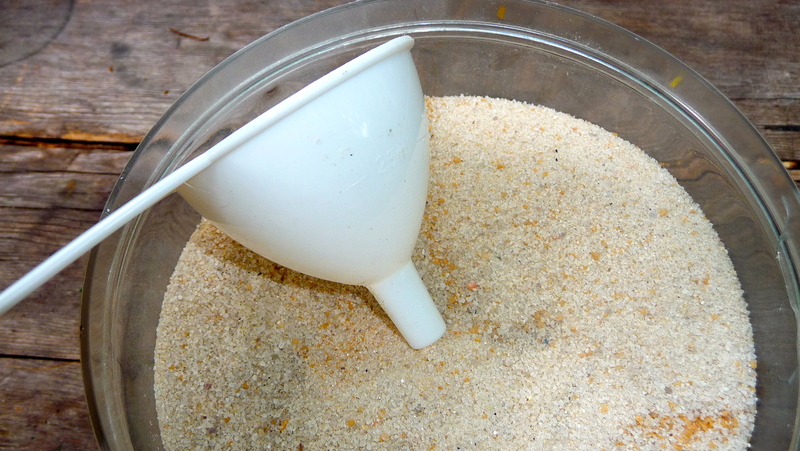 Use a funnel to place the sand in the bulb and then the weight of the sand helps to keep it from rolling around. Next, place a tiny air plant inside the bulb terrarium. It’s helpful to have a tool of some kind to place your item inside – long handle tweezers are good. We have a grabbing tool called a Pick Up Claw that is perfect for this job! 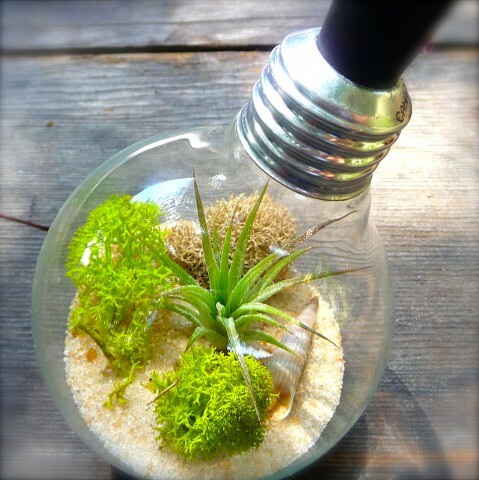 Place your desired items inside the light bulb and you have yourself a little terrarium. To water you terrarium, just drop a little bit of water inside but not too much. We use a rubber stopper (cork stoppers are good too) to keep the moisture inside the terrarium for a day or so, then remove the stopper to let the plant breathe. As we said before, the weight of the sand will keep it from rolling around but you can also create a little base for it to rest on. The are many, many options and it’s all up to taste. Here’s an example below. We simply placed it in the hole on top of an antique sugar tin. 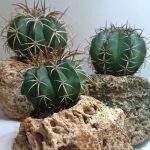 If you have a cat, well …enjoy the terrarium while you can!